The plants, animals and humans that live in this rugged, barren domain find the arctic to be a demanding home. Month after month the temperature remains below freezing with barely a glimmer of sunshine during the long winter. It is a challenge to stay alive. 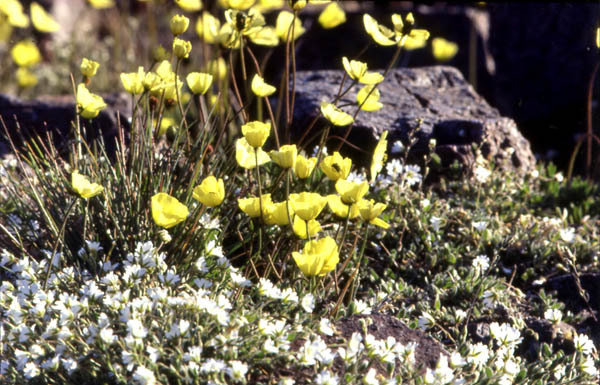 But now the Arctic flowers, moss, lichens are spotted generously along the wide stretches of soil between fjord and mountains.